A decorative rotating center band in this stainless steel spinner ring for men is perfect for active guys. 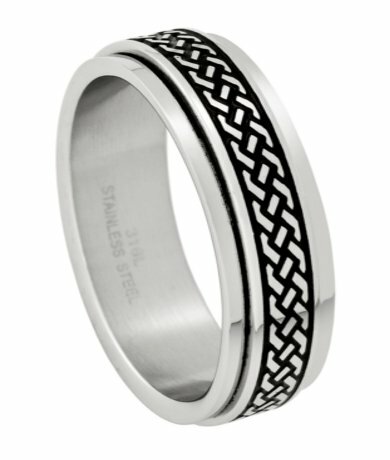 Made of rugged 316L surgical steel, this men's fashion ring features a moveable center band with a blackened geometric design, framed by polished edges. Great ring, for a really great price. Also, spoke with rep at company when shipping and he was very helpful! !